"I often feel that life is about to begin, only to realize it is almost over.... I do not think of old age as an ever grimmer time that one must somehow endure and make the best of, but as a time of leisure and freedom, freed from the factitious urgencies of earlier days, free to explore whatever I wish, and to bind the thoughts and feelings of a lifetime together." ~Oliver Sacks, The Joy of Old Age. (No Kidding.) (NY Times, 7-6-13). "...Inventing the Truth [the title of William Zinsser's excellent collection of memoirist's talks, is] perhaps the best possible title for a book about memoir. It states the most important principle for writing the story of your life: mere facts aren't enough. No matter how many details you diligently collect about the people and places and events in your past, they won't add up to a memoir. You must make a narrative arrangement....You can never forget the storyteller's ancient rules of maintaining tension and momentum--rules you've known in your bones since you were a child listening to bedtime stories." What will be written on your headstone? What will your obituary say? How will you be remembered, and what has your life meant? The goal in this nontraditional workshop of short personal writing is to capture your personal and family legacy for the next generation, the friends and family who will survive you. Knowing that you are writing not for publication but to set the record straight—in your own mind, as much as anything—may liberate you, allowing you to examine with candor your important life choices and experiences, achievements and mistakes, beliefs and convictions. Through a series of exercises designed to open a rich vein of personal material, you will begin the exploration and storytelling that may help you either develop a personal or family history or write a personal legacy letter to your survivors. No whining, no boasting, no name dropping: Just an honest examination of what went on in your life or your family, with an emphasis on fleshing out the characters and stories to be found there. This course, which grew out of the warm-up exercises for Pat's workshop on ethical wills, will encourage you to reminisce deeply: to mine your life (and family) experiences for personal stories, myths, themes, and values. This is just one version of purposeful writing in any form -- it's just that in report writing you tend to put the main points up front and at the end, whereas in narrative nonfiction, for example, you would tell a story, and the conclusion wouldn't be immediately evident. Life story writing is something else altogether -- the idea being not so much to convey a message as to convey a life. 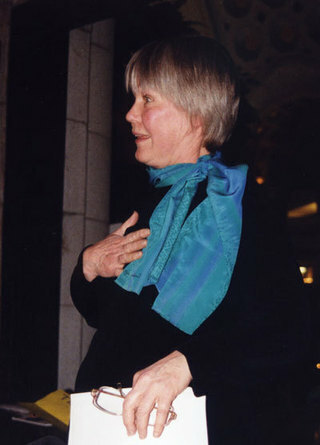 Often families (or organizations) hire Pat to help draw the life story out of a family member (or founder, or officer, or employee) who is a reluctant memoirist -- feeling his or her life story is not important or interesting, or having no idea how to write it. One path is to have Pat interview the person, get the taped interviews transcribed, organize and edit the material, and work with the memoirist to get the story right. For those who want to write a life story on their own, Pat either talks about the best way to go about developing an interesting memoir, or coaches them on the process -- the idea being that the easiest way to get someone to apply pen to paper, or fingers to keyboard, is to give them a weekly deadline and constant feedback (whether from Pat or from a group, or both). Usually it's as easy as that: get people started, and their memories will start flowing. Then it's a question of moving them beyond false modesty, name dropping, bragging, and lists of accomplishments or grandchildren to the truly human story of their life. Well done, the life review is a gift both to the people writing about their lives and to their intended audiences. Everyone has a story, but sometimes they need help finding and shaping it. The secret is to find the story and bring it out. The same is true of writing histories of organizations, except that the interviewing takes place on a larger scale, organizing the material and developing a coherent storyline is harder and more complex, and the process is far more time-consuming -- so much so that Pat will only take on organizations that she finds interesting enough that she'll want to "live with" them (mentally, at least) for the time it takes to write their story. For example, Pat wrote a history of the department of psychiatry at the University of Maryland, in Baltimore -- which is, to some extent, a history of psychiatry in America after World War II, wrapped around the story of a particularly interesting department: • Changing Times, Changing Minds: 100 Years of Psychiatry at the University of Maryland School of Medicine by Pat McNees. Pat is co-editor, with Paula Stallings Yost, of a new collection of life story writing: My Words Are Gonna Linger: The Art of Personal History , co-edited by Pat and Paula Stallings Yost. 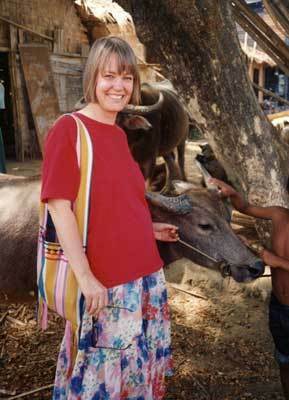 Pat McNees in Burma, where she taught report writing workshops for UNESCO and UNDP. "Pat is frank, approachable, and fun to work with and her course was eye-opening. She was especially good at getting us to be reader-oriented, to convey a clear message in plain English, and to trim flab from our writing." If you had only one hour to live and the only way to communicate with survivors was to leave them a letter, what would you write -- and to whom would you write it? Events like Hurricane Katrina and the shocking mass murder at Virginia Tech remind us of the fragility of life. This workshop will help you figure out what personal messages, stories, or life lessons you want to leave for those who survive you. Often written in the form of a loving letter, the legacy letter (a version of what some call an ethical will) is a way to explore and articulate who you are, what you have learned in life, what you value, and what you wish for the family members who survive you. Your last will and testament conveys what you want your loved ones to have -- and is legally binding. The legacy letter is an informal message that conveys what you want your survivors to know--which may include how you want to be remembered, what you cherish and regret, what you forgive and apologize for, what you loved (maybe even chuckled about) about your loved ones, and other important things you would not want left unsaid should you die unexpectedly. Ruta Sevo's ethical will, the very first story written in Pat's very first ethical will workshop. It appears in My Words Are Gonna Linger: The Art of Personal History , which Pat and Paula Stallings Yost co-edited. "Writing about [events in my life] has been a way of processing them. Not only tragedies like the deaths of my sons, but other things like learning of my adoption as an adult and my search for my birthmother. These are life-altering experiences and writing about something is a good way to figure out what to make of it. "Patients, of course, are an endless source of inspiration and stories. Psychiatry is a performance art. We talk with people; they tell us their secrets and their pain. They benefit from the conversations or not. But it’s all words in the air; our case notes are sealed and unless we write something down, the experiences are lost except to our memories. But we’re changed by these stories just as our patients are and the truths they lead us to are worth preserving. Writing down what we have learned also constitutes a kind of “ethical will,” something to convey to succeeding generations in the same way that we distribute our property. I think that we have some obligation before we die to enunciate whatever we think we’ve learned about life. So that was also a motivation to write these books, because I thought that whether anybody buys them or not, my children and their children will have this gift from me."